Recognition from suppliers, organizations, and others is appreciated and a testament to the Precision Roofing commitment to quality. The Precision expert roofing team has earned awards for our attention to detail and high degree of customer service. 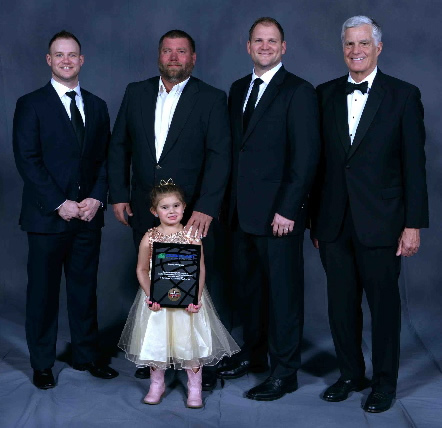 For the third consecutive year, in 2018, Precision Roofing Services has attained admittance into Duro-Last, Inc.’s Admiral Club and for the second year in a row continues their Platinum Contractor status. The Admiral Club recognizes outstanding achievement in quality workmanship, customer satisfaction, and 2017 sales volume. This marks Precision’s eleventh consecutive year earning an award, and the third for the Admiral Club. Precision also continues their Platinum Contractor status, which is achieved by only 3% of roofing contractors who install the Duro-Last system. 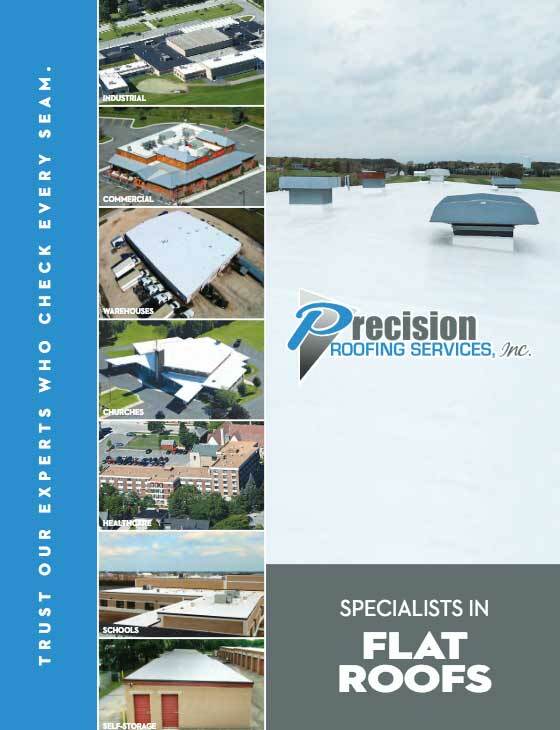 This means that for 2017 the Precision team installed over 500,000 square feet of commercial roofing that scored outstanding for quality installation when inspected by Duro-Last personnel. Over the past three decades, Precision has scored an average of 98 out of 100 for their installation quality on all projects combined. Duro-Last manufactures a custom, prefabricated, thermoplastic single-ply roofing system that is perfect for any flat or low-sloped roof. The prefabrication eliminates up to 85% of field seaming which results in lower onsite labor costs and assures an easier installation. The Duro-Last roof system is leak proof, virtually maintenance free, and resistant to chemicals, fire, punctures, and high winds. The Pulse of the City 5-Star Customer Satisfaction rating is the highest possible. Pulse of the City News and the Stirling Center have extensive experience in the real estate, building and construction, news and publishing, and legal fields. In their research to name star performers, they utilize a database of performance information compiled on an ongoing basis since 2009. They continue their rating system to help overcome the high rate of conflict, claim, dispute, and ultimate discontent with the construction industry. Their rated star performers are advancing the industry as a whole while providing their customers an exemplary level of service and value. Only a fraction of businesses earn the top ratings. Awards are four- or five-star and Precision earned the five-star award by combining superior construction services with excellence in customer service. 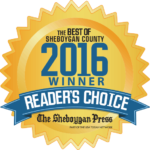 Each year, The Sheboygan Press requests their readers and others in the entire Sheboygan area to vote for the “Best Of” in a variety of categories. Voting takes place online and through written ballets. For the 2017 Reader’s Choice awards, Precision Roofing was named the best roofer. Business winners are provided with the recognizable icon to display on marketing materials announcing they have earned the award. For more than a decade, Precision Roofing has been a member of the Wisconsin Better Business Bureau (BBB) and is as an accredited business with an A+ rating. View rating. The BBB is a nonprofit organization focused on advancing marketplace trust. They collect and provide free business reviews to serve as an intermediary between consumers and businesses. Precision’s accreditation means the business meets the BBB Standards for Trust which include build trust, advertise honestly, tell the truth, be transparent, honor promises, be responsive, safeguard privacy, and embody integrity. View rating. Precision Roofing was awarded a Work Safe Award by Maritime Insurance Group and Accident Fund Insurance Company of America (Worker’s Compensation) as a result of numerous job site safety inspections. The Precision team is very safety conscious and proud when were told that they are the safest roofer they have ever seen! Precision Roofing is proud to support not-for-profit organizations. Their golf team has won first place in a number of outings: the men’s division of the 28th Annual Bob Rammer Junior Golf Challenge held at Town and Country Golf Course and the Cedar Grove-Belgium Education Foundation 5th Annual Golf Outing held on September 29 at The Bull. The Education Foundation tourney raises funds to award teacher grants for innovative educational tools that are not funded by the school system’s budget. It also funds scholarships for graduating seniors. Since its inception, the CGBEF has awarded over $130,000. Precision Roofing received a thank you letter from the Sheboygan Area School District for their continued financial support of the Nu Dawn Club. The Nu Dawn Club provides Sheboygan County special needs adults with a monthly opportunity to socialize with friends, play games, enjoy refreshments, and make crafts. Precision Roofing Services donated the roof for Sheboygan South High School’s concession stand and dugouts because they believe in supporting their community. 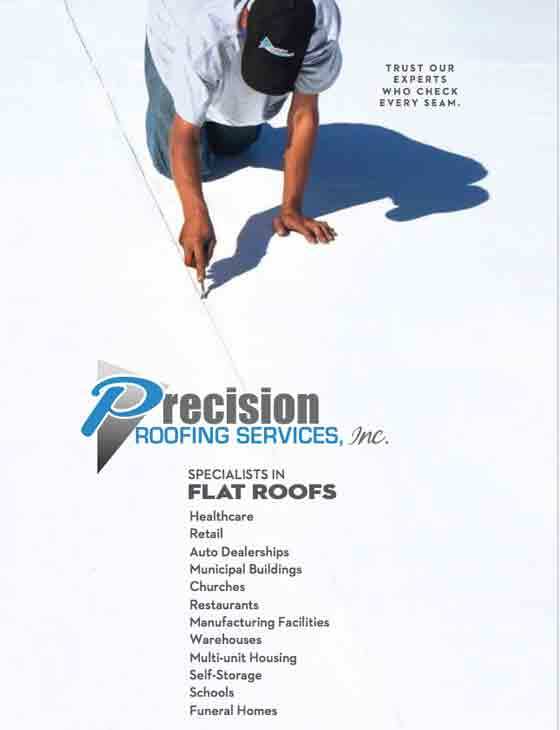 Get more information about Precision Roofing when you click to view or download our brochure. Learn more about Precision Roofing when you click to view or download our folder.